Alumina is the most mature of the engineering ceramics, offering excellent electrical insulation properties together with high hardness and good wear resistance but relatively low strength and fracture toughness. 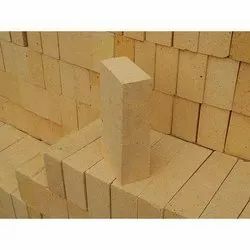 The silica firebricks that line steel-making furnaces are used at temperatures up to 1650°C (3000°F), which would melt many other types of ceramic, and in fact part of the silica firebrick liquefies. HRSI, a material with the same composition, is used to make the insulating tiles of the space shuttle. Looking for High Alumina Bricks / Fire Bricks ?